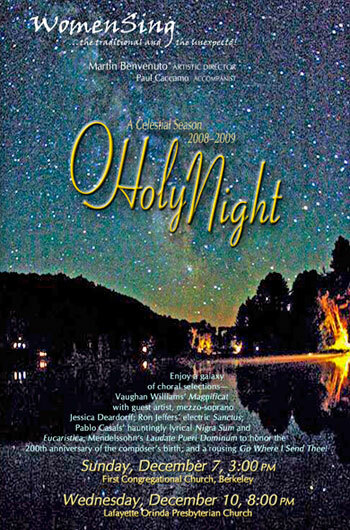 Exploring a galaxy of seasonal music including favorites from our new CD with special guest appearance by mezzo-soprano Jessica Deardorff. We continue with our Celestial Season. 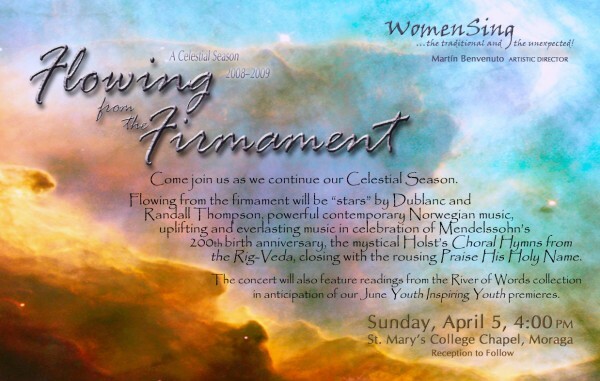 Flowing from the Firmament with Stars by Dublanc and Randall Thompson, powerful contemporary Norwegian music, uplifting and everlasting music in celebration of Mendelssohn’s 200 birth anniversary, the mystical Holst’s Choral Hymns from the Rig-Veda, closing with the rousingPraise His Holy Name. The concert also features readings from the River of Words poetry collection, in anticipation of Youth Inspiring Youth premieres. 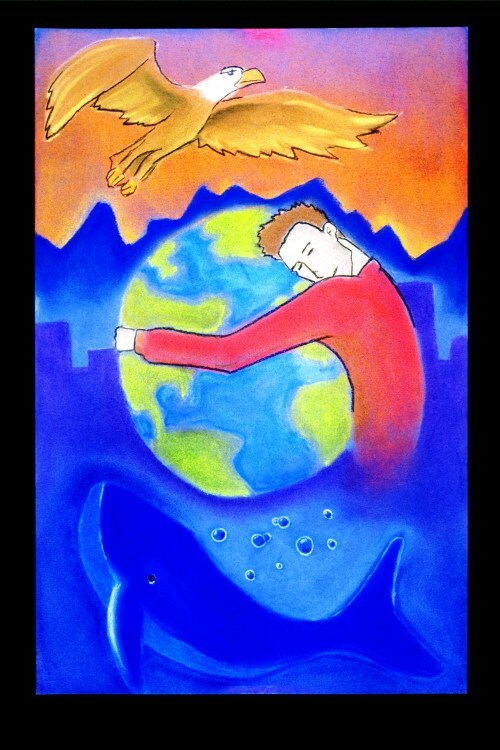 WomenSing presents The Blue Eye of God, featuring Nancy Telfer’s dramatic piece about animals confronting mankind. Also included are the inspiring premieres of the Youth Inspiring Youth commissions based on River of Words children’s poetry, and works by Libby Larsen, Felix Mendelssohn and Andrew Carter. Special guest artists the Concert Choir from Piedmont East Bay Children’s Choir.